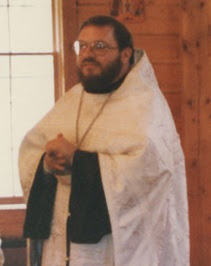 Please keep the servant of God, the Archpriest Michael Mihalick, in your prayers. He fell asleep in the Lord today, after a long battle with Multiple Sclerosis. He was Father John's godfather and though we know that he is free from suffering, it is still a sad time. I'm sorry. May his Memory be Eternal.